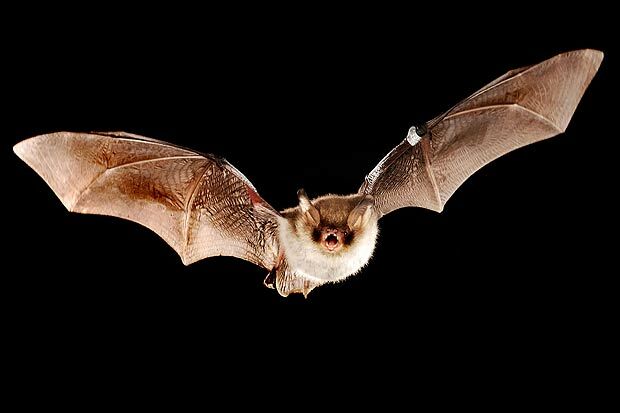 Bats are identified by their rodent-like bodies and forearms which have been adapted into wings. Bats are mammals of the order Chiroptera and are second largest order of mammals in the entire world. While they do provide humans with many benefits, there are some threats that come along with them. 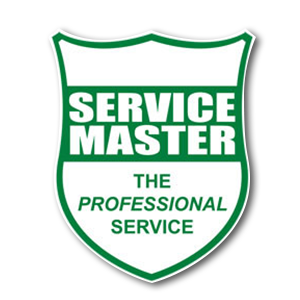 Service Master’s Bat control methods include Bat Assessments, Bat Exclusion and Bat Prevention. Using our services gives you peace of mind, knowing that your bat control issues are in the most professional of hands. There are definite advantages to having bats in your roof. 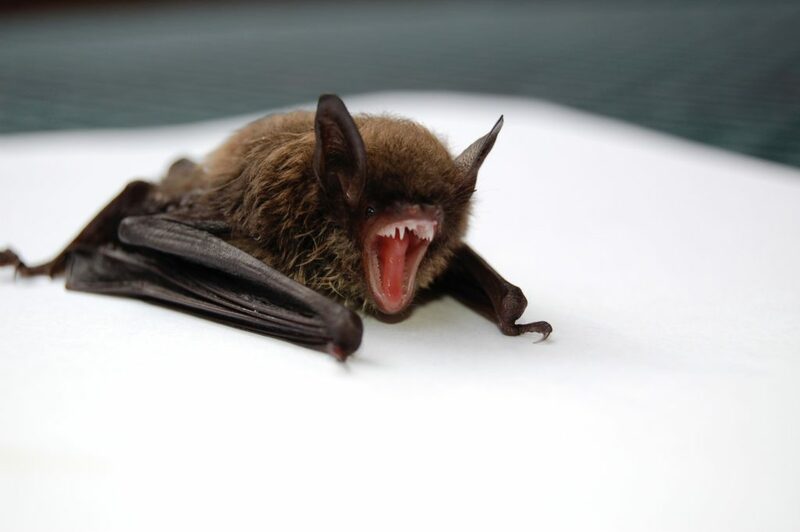 Most roof dwelling bats are insect eaters, and will consume a vast quantity of night flying insects, especially mosquitoes and other harmful pests that cause damage to your garden and to crops. If the bats are not causing any damage or harm, we urge you to consider leaving them in peace. One bat can eat over 2000 insects per night. 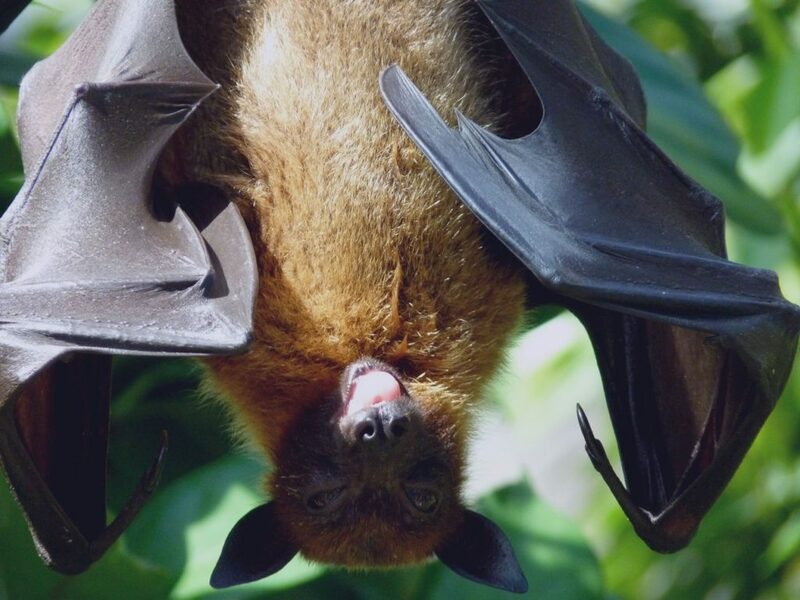 Bats are very clean animals and carry no known diseases that can transfer to humans. Furthermore, Bats are a protected species (it is illegal to harm them) and their importance in our environment cannot be over-emphasised. They are very slow breeding and it takes a long time to build up a colony – they usually only have one baby a year, and that pup has only a 25% chance of surviving to adulthood. Bats are endangered due to a high mortality rate among their young, mainly caused by humans’ lack of understanding and knowledge about their habits. Bats are not blind – all have eyes and most can see very well. Furthermore, they are very shy of humans and will avoid contact with us at all costs – they will not get tangled in your hair or attack you in any way. Bats are amongst the gentlest wild mammals in the world. There is such a thing as a vampire bat – but it is only found in one place in South America, weighs only 50g and it draws a little blood from the legs of cattle (never from humans!). One of the main complaints is an accumulation of bat droppings or guano in the ceiling area. All you need to do is to send your staff member or maintenance person up into the ceiling with a dustpan, brush and black rubbish bag once or twice a year and have him clear up the droppings. 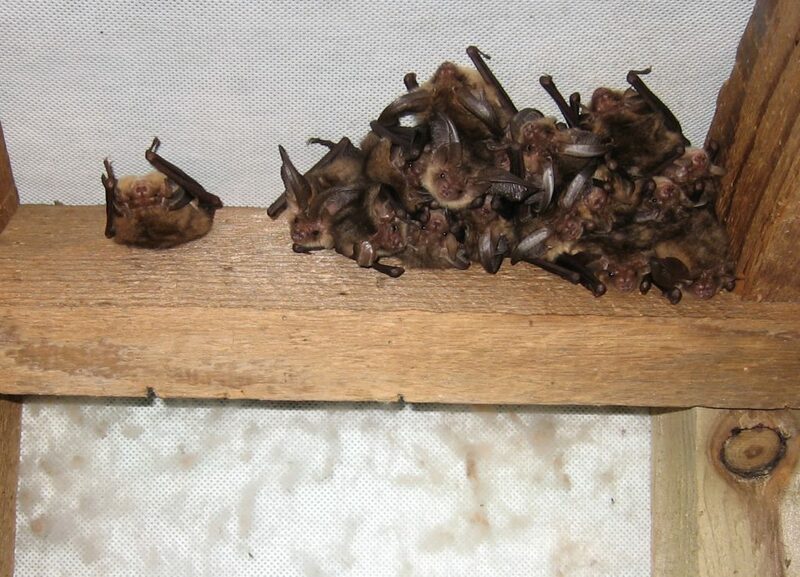 An easier way is to lay cardboard boxes or black rubbish bags on your ceiling boards underneath the area where the bats are roosting, and once or twice a year, simply remove and replace. The only time guano will smell is if it is wet, so ensure there are no leaks in your roof. You can call us if necessary to apply our special Microbial Fogging that is safe for the bats. It neutralizes the odour of bat droppings and removes the smell and any associated bacteria. Alternately, we offer bat control, bat proofing and bat removal services. It is illegal to kill bats and bat exclusion work in South Africa can only take place between May and September of each year. It is not possible to do bat exclusion outside of these dates, as bats may be breeding and the young trapped inside not yet flying would be killed. 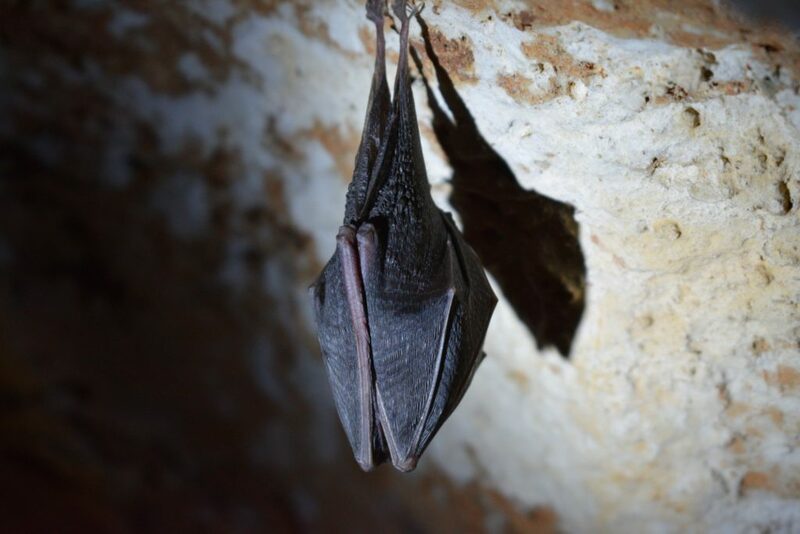 We send an experienced service specialist to undertake an assessment of your roof in order to confirm the location and presence of the bats, determine primarily whether or not bat exclusion is possible and the extent of the work that would need to be done. A full written report is given with our recommendations and quotations. Bat Exclusion work entails safely removing the bats from their roosting area (usually inside a roof void) by means of one-way valves, and thereafter we undertake to permanently seal up any obvious & accessible holes in the roof that the bats are currently using as access points. 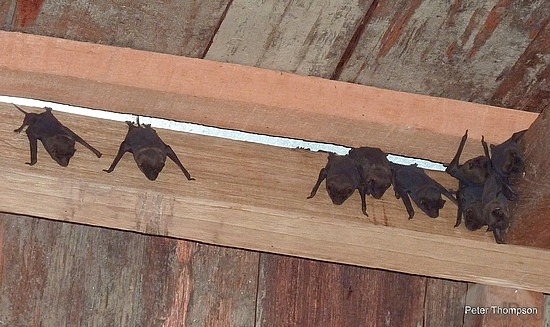 To prevent bats from hanging on the eaves, strong pvc mesh or rhino board is placed where the roof meets the wall. Helium balloons can also be used to “float” under the eaves to discourage the bats from roosting. Areas that usually need attention are at the gable apices, beneath the ridge tiles and between the slats of air vents.